Be Prepared: Know what your kids are wearing, in case you get separated and need to describe your child to event staff. If you need help remembering, snap a photo. As you arrive at the event, spend a few minutes showing your kids what to do if they get lost. Many times, event staff wears a specific color t-shirt, so point one of them out to your child and let them know they are safe people to turn to in an emergency. If you are going to a huge park, like Disneyland, buy a rubber bracelet in advance and write on it your child’s name, and your name and cell phone number in case you get separated. Comfort is Key: For smaller events, close to home, work around your child’s sleep schedule. It is okay to miss the beginning, middle, or end of an event when it’s time to nap. If you are going with older kids to an amusement park for an all-day adventure, bring along a stroller for smaller ones, even if they haven’t used one in ages. My 6-year-old used a stroller in Disneyland even though he hadn’t used one in the year beforehand. Start Small: Start off at smaller events for a few hours before trying to tackle a beast like Great America. At smaller events, start slow and introduce the event one activity at a time. For active kids, start with finding the bouncy house first so your child can kick off their shoes and move their body. For kids who need time to warm up, find the Lego booth and allow for some free play before moving on to other activities. For sensitive kids, bubbles and face painting are always a big draw. Don’t feel pressured to do everything–look around and choose a few activities to try. Plan Some Snacks: As always, bring water, sunscreen, and a favorite snack with you. 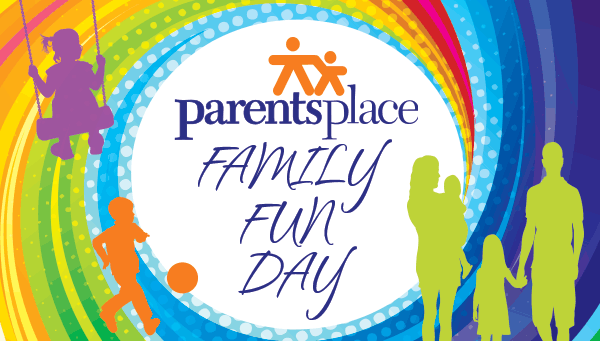 At Parents Place’s Family Fun Day on April 28, tasty treats will be available to purchase. Who knows? The event might be a fun opportunity for your child to try a new food! Find Your Zen: Make sure to rest when you need it. Find a picnic table or chill in our lactation room on a soft couch. Don’t forget to check in with your child to make sure everyone is still having fun. If you child is sensitive to loud noises, consider bringing a pair of nose canceling headphones and playing some comforting music as a break. Finish Strong: You know yourself and your child. Head home during that sweet spot between “getting tired” and “total exhaustion.” You and your child will be thankful later! For more information about Family Fun Day, please contact Sarah Dondysh at [email protected] or 650-688-3088.